...in his mouth. 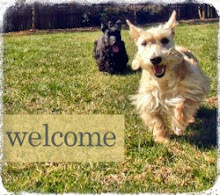 Yes, as many Scottie Mom readers have noticed, Mr. K's world revolves around one toy: a squeaky tennis ball. He is seldom seen without one. Even at the shelter I found him, Mr. K had one with him and the volunteers said he only perked up when the squeaky tennis ball was around. It doesn't matter the size or color, Mr. K is all too happy to greet his best friend the squeaky tennis ball time and time again. He loves to chase it up and down the halls at first but soon, that game gets old and he moves on to total destruction, the next level of Scottie fun. Mr. K has the art of squeaky tennis ball destruction mastered. If he is left to his own devices, he can break open a tennis ball (even the bigger ones he can't fit in his mouth that are meant for much larger dogs), silence the squeaker and remove the fuzzy exterior in about 15 minutes or less. At about $5-7 a pop, this is a rather expensive hobby. I gave up at one point and only bought sqeaky tennis balls for special occasions but then I would see that happy Scottie face when he was treated to one and decided I couldn't deprive him of this most-treasured experience. Now, we always keep a squeaky tennis ball around but Mr. K is limited to chasing it up and down the halls. Occasionally, he tries to sneak it out of the condo and take it with him for a walk. We keep a close eye on him to insure the level of fun doesn't get upgraded to total destruction. And, when he's done playing chase, we take the ball back up and put it away where a Scottie can't reach. So far, this new arrangement has been working out just fine. I'm determined to make this squeaky tennis ball last but, by a Scottie's standard, "last" could mean a matter of weeks as opposed to mere minutes. 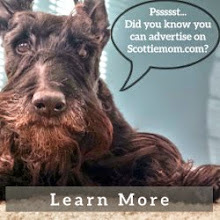 From one Scottie Mom to another, I'm curious to know: what's the longest a toy has ever survived the playfulness of your pup? Has anyone found an indestructible toy yet? I'm not allowed my favorite toys. I can tear a frisbee in half, down the middle, in under 30 minutes. It takes me three days to puncture a $45 soccer ball and I can't break my own record because i never see them anymore. It's really frustrating to not be given the opportunity to be all that i can be with a soccer ball. 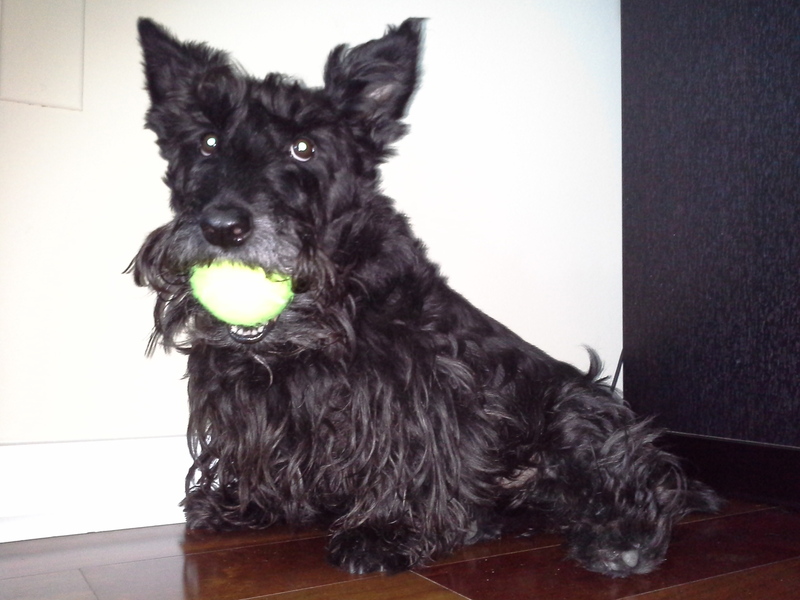 Our Scottie named Jack loves his tennis ball too. Fortunately, he like the Costco bulk tennis ball. He also loves to tear them up!! My scot Donovan could punture a basket ball in 2 seconds and totally pull the outer layer off in hours.